Autism, like many other psychiatric disorders, is diagnosed primarily on the basis of interviews with patients and behavioral observations. However, using a functional MRI (fMRI) scan to measure how the brain reacts to a person’s thoughts could become a newer — and more accurate — way to diagnose autism. 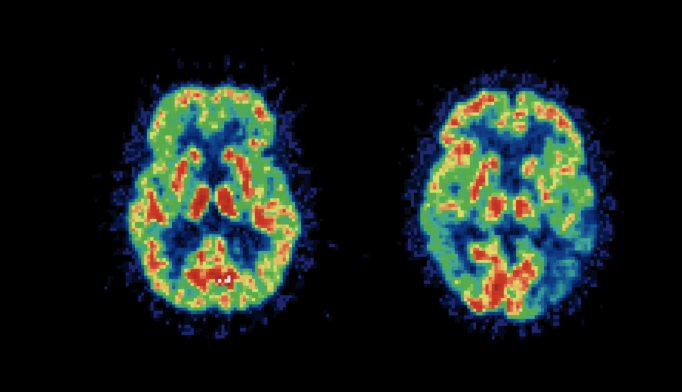 Marcel Just, PhD, director of the Center Cognitive Brain Imaging at Carnegie Mellon University, Pittsburgh, Pennsylvania, and colleagues performed fMRI scans on 34 adults — half with autism and half without — while they thought about different kinds of social interaction, such as hug, humiliate, kick and adore. The researchers then used machine-learning techniques to measure neural activation in different parts of the brain. They found that activation patterns between the two groups when thinking about the types of social interaction were so different, it could be used to identify whether the subject was autistic or not — and with 97% accuracy — they reported in the journal PLoS One. Just added that examining brain activation could become a new way of diagnosing and understanding autism and other mental disorders. “If you know what kinds of thoughts are typically disordered in a given psychiatric illness, you could ask a person to think about them and see whether their thoughts are disordered or altered from neurotypical people,” he said. Right now, diagnosing disorders like autism relies heavily on interviews and behavioral observations. But new research published in PLoS One shows that a much more objective measure—reading a person’s thoughts through an fMRI brain scan—might be able to diagnose autism with close to perfect accuracy. Lead study author Marcel Just, PhD, professor of psychology and director of the Center for Cognitive Brain Imaging at Carnegie Mellon University, and his team performed fMRI scans on 17 young adults with high-functioning autism and 17 people without autism while they thought about a range of different social interactions, like “hug,” “humiliate,” “kick” and “adore.” The researchers used machine-learning techniques to measure the activation in 135 tiny pieces of the brain, each the size of a peppercorn, and analyzed how the activation levels formed a pattern.